We manufacture our flashings right here in the heart of the Midlands to the best of standards so that you can give your roof a finish that is reliable and resilient. Once your roof has been laid, barge flashings must be attached to the edges. They have the role of deflecting wind away from roof sheets to prevent them from blowing away. Ridge flashings are another essential component in a well-built sheet roof that is used on apex roofs to protect the join along the ridge and provide a better finish. The standard size of our flashings is 3 metres in length but they can be altered to your requirements. 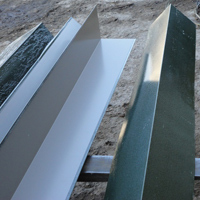 We use 400mm girth flat sheets to make the flashings and these are available in plain galvanised, polyester paint or PVC coated. 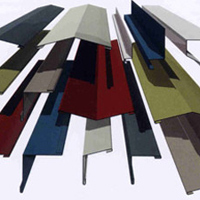 We can match our flashings to the colour of your roof sheets and if you’d like some extra strength then we can supply the flashings with welted edges. Folded to a 90 degree bend giving an 200mm x 200mm or 150mm x 150mm, in standard 3 metre lengths. All roof sheet flashings can be custom made to customer requirements! When it comes to roof sheet flashings it is important that you use the best quality to avoid any problems with your sheet roofing in the future, such as leaks and moved sheets. If you need flashings for your roof then look no further than us. 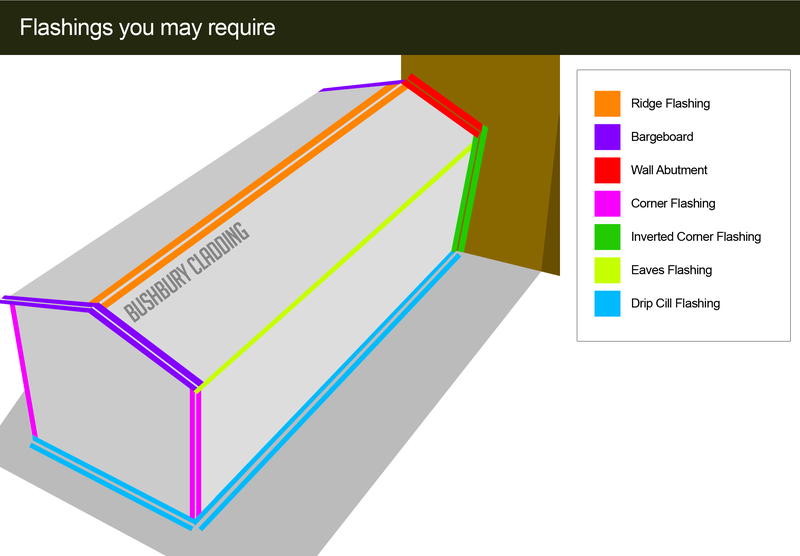 Here at Bushbury Cladding Ltd we have been manufacturing and supplying the best roof sheets and related parts for over six years and that’s why can provide the best service to our customers. If you’d like more information about what we can provide you, don’t hesitate to contact us on 01902 229 412.